I'm a bit embarrassed by the lack of detail in this post, but I've found information difficult to uncover at best. 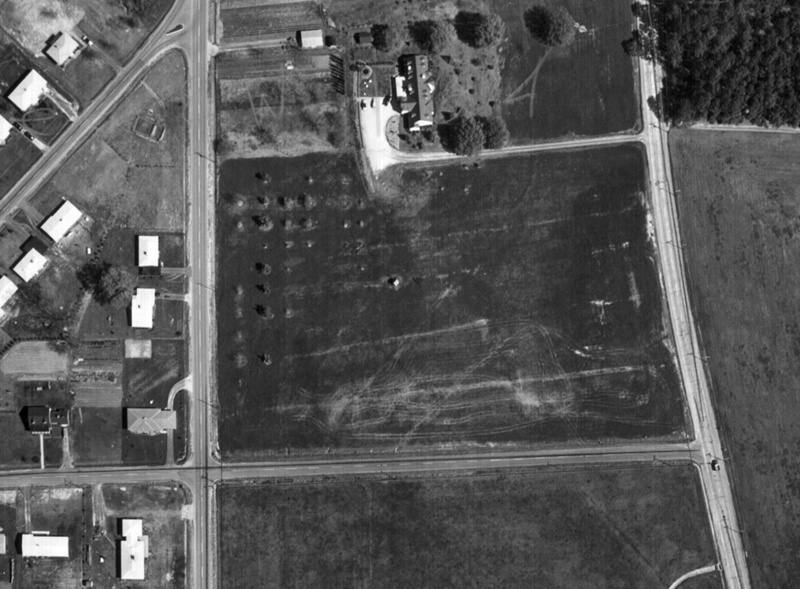 The aerial above shows Fairfield Road, North Duke St., Roxboro Road, and Duke Homestead Road in 1959 - the mostly rural nature of the landscape is even more evident in a non-zoomed view of this, but clearly the large tract in the center featured another of the large houses lining this portion of Roxboro Road. I haven't been able to determine when North Duke Mall was built - I can trace the deeds back to 1973, when a series of merged partnerships result in the transformation of what was entitled "North Duke Plaza" into North Duke Mall. But there I've hit a bit of a dead end. So the best I can say for now is that, sometime before that, it appears that this land was purchased, house demolished, and a mall built. 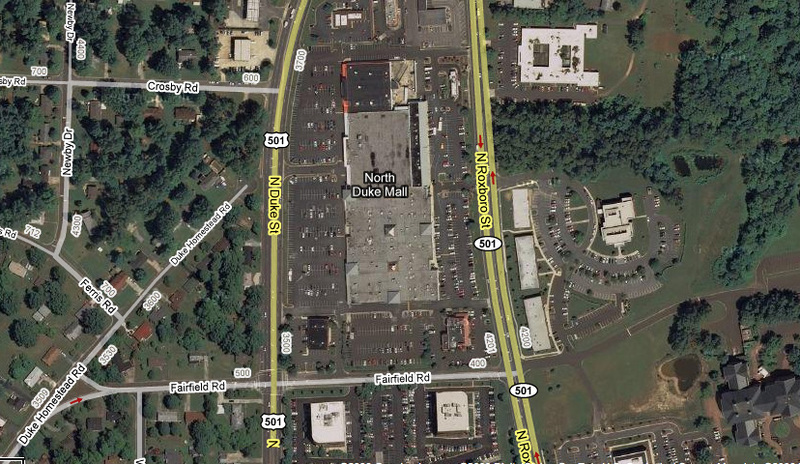 That mall is now North Duke Mall.